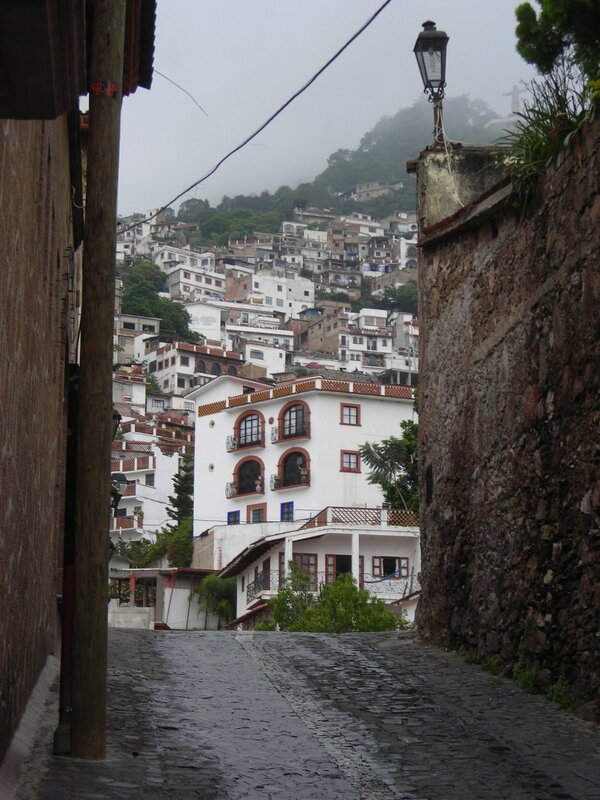 In the “preserved” colonial city of Taxco. (“Preserved” in quotations because it has grown, but government enforcement requires any new building to be constructed in style of the older structures there. Even the taxi fleet of Volkswagen beetles have been painted entirely white to match the buildings.) It is a beautiful city, with thin and winding streets twisting their way through the hills. In this picture, you can see the hillside covered in houses. 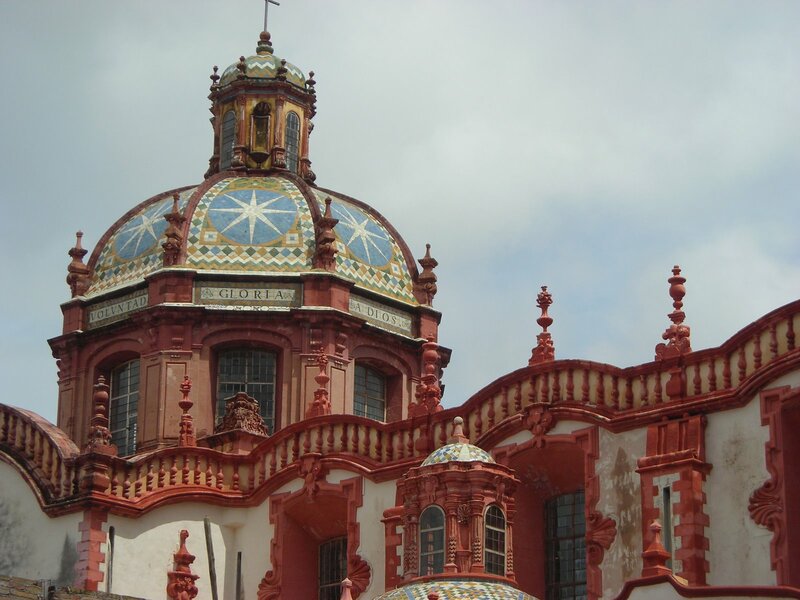 Taxco was once a silver boom town, but since the veins have tapped out, the town has re-created itself as a center for silver design.